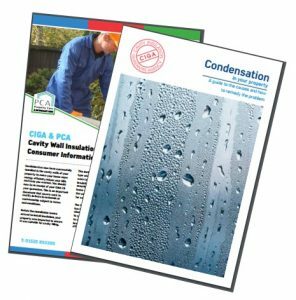 Condensation in your property – A guide on recognising the causes and how to remedy condensation problems. CIGA want to keep you, the consumer, updated on matters that may affect you. Click here for the latest update. Are you concerned about a claims company? Has someone knocked on your door and told you you’re entitled to compensation? Although the promise of compensation may sound enticing Trading Standards and CIGA would urge consumers to consider this route very carefully and thoroughly research the company offering their services. Find out more information on how to report a concern with your cavity wall insulation.